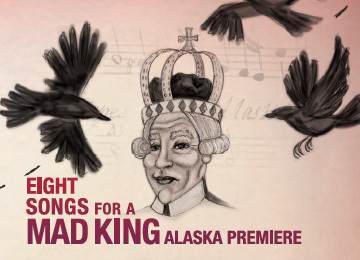 In this 1969 landmark musical and theatrical portrayal of delusion, English King George III talks, sings, and screams to his “birds” (instrumentalists) as he loses grip on reality. This stunning portrayal of descent into madness predates the 1994 feature film The Madness of King George and the current hit Broadway musical Hamilton. The program will also include Charles Ives’ Trio for Violin, Cello, and Piano.